Do you recognize any of these challenges? 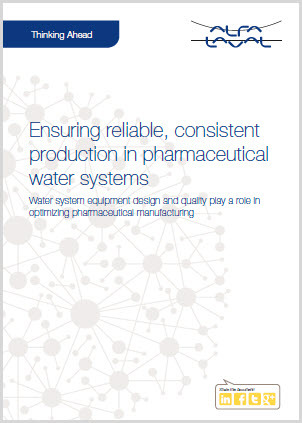 Improperly designed, operated and maintained pharmaceutical water systems can be much more expensive than investing in the right pharmaceutical water systems from the start. 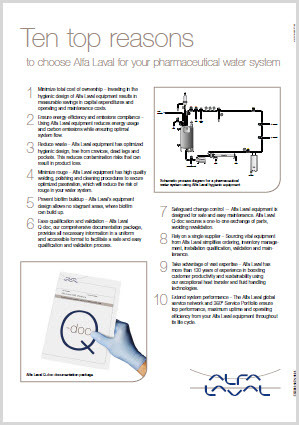 This is why it is important to consider these challenges when selecting pharmaceutical water system equipment. Rouge. Rouge involves the precipitation and spread of fine red-brown ferric oxide or hydroxide particles from the place of origin to associated systems. It can often be found in circulation pumps, diaphragm valves and inside tanks equipped with static spray balls. While rouge cannot be avoided, it is possible to minimize the level of rouging by choosing the right hygienic equipment using the right design and high-grade 316L steel as well as ensuring proper system installation, operation and maintenance. Biofilm buildup. Populations of live microorganisms as well as dead microbial cells can form a layer, or biofilm, on the surfaces of pharmaceutical water system equipment. This film also contains noncellular materials, such as mineral crystals, corrosion particles or silt particles. In fact, more than 99% of all microbial activity occurs in biofilm. Biofilm buildup poses contamination risks to pharmaceutical water systems. However, proper equipment and system design can reduce these risks. Energy consumption and carbon emissions. Maintaining continuous circulation and high temperatures in hot water systems is expensive and energy-intensive. It also adversely impacts the environment due to carbon emissions. There are, however, ways to reduce energy consumption without compromising quality or performance. 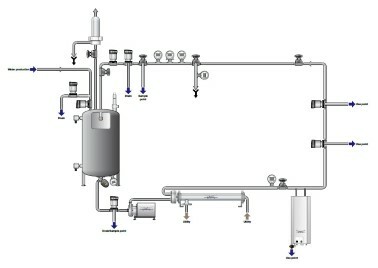 Safe and easy installation, validation and maintenance. Ensuring proper installation, validation and maintenance of water systems is a business imperative for the pharmaceutical industry. After correct installation and validation, it is critical that genuine wear parts are replaced with a part that matches the exact material and characteristics of the original part in order to prevent the need for costly revalidation. To help maximize uptime, thorough and uniform equipment documentation helps secure proper installation, validation and maintenance using the correct parts, all of which leads to more uptime.